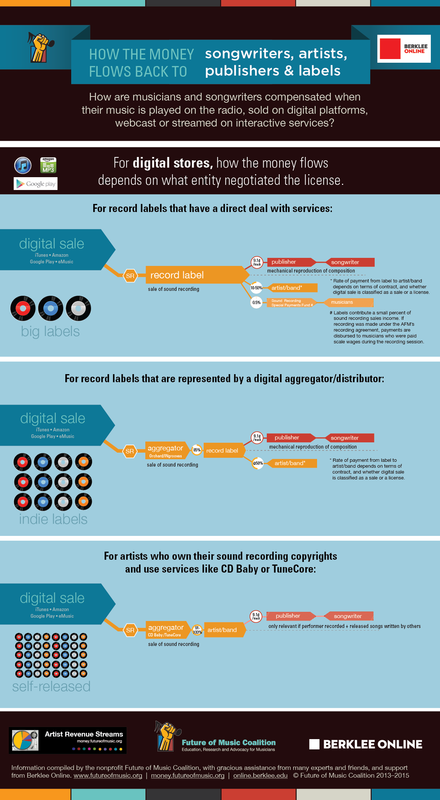 The information in this infographic is subject to change based on ongoing litigation, business model development and federal policymaking. FMC does its best to keep up with these changes and update the infographics accordingly. By type of service/use. Click for bigger version. By type of label/rightsholder. Click for bigger version. 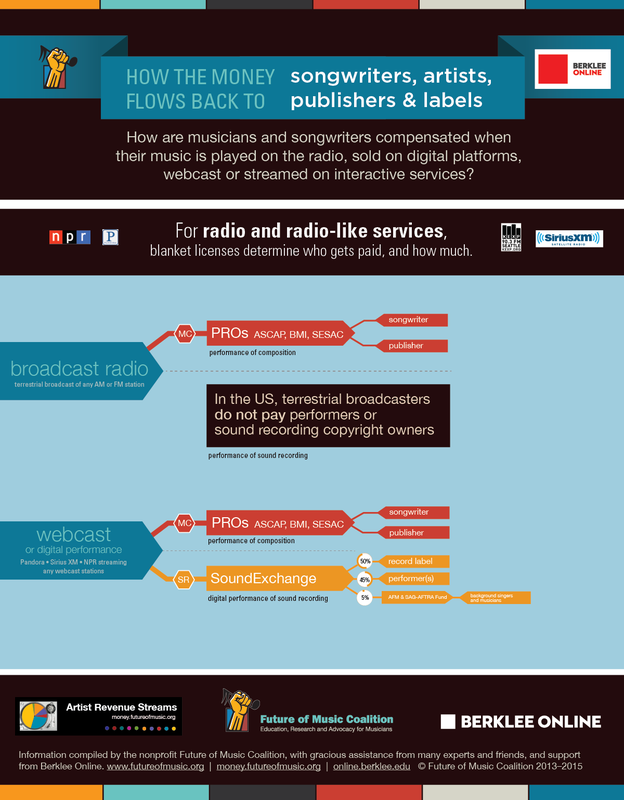 MC: the revenue generated by the musical composition, which flows back to publishers and songwriters. 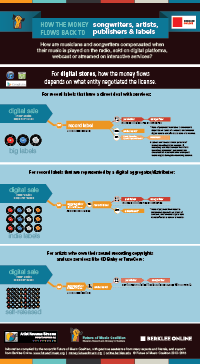 SR: the revenue generated by the sound recording, which flows back to the sound recording copyright owner (usually a record label) and the recording artists and performers. The whole thing on one enormous infographic. Click for bigger version. See this as a PDF. See this as a PDF. 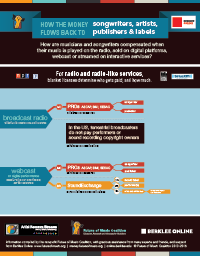 To see the 2013 version of this infographic, click here. Want a full-color, 33” tall poster version of this image? Order one on our merchandise page for only $15. We’d like to thank our copyright expert friends who helped us put this together. As with all of these efforts, we want to ensure that the information is accurate and complete. If you have suggestions or corrections, contact us!